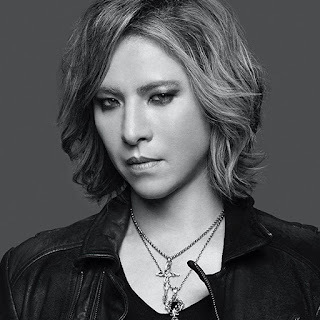 Yoshiki will visit Moscow for the Russian theatrical premiere of We Are X on January 29. The award-winning film will be shown in a special double-feature event featuring renowned Russian rock band Mumiy Troll, and Yoshiki will participate in a live Q&A after the film. The Moscow premiere is a part of the 2018 “Year of Japan in Russia” project to increase cultural exchange between the two countries, created after talks between Prime Minister Abe and President Putin. Information is available on the website of the Japanese embassy in Russia. The collaboration arose from the friendship of Yoshiki and Ilya Lagutenko, the leader of Mumiy Troll, whose mockumentary film SOS to Sailor will screen as the first part of the Moscow event. YOSHIKI will continue his Russian promotional tour with a second We Are X screening and Q&A in St. Petersburg on January 31, his first-ever public appearance in that city. This month’s promotional visit is Yoshiki ’s first time returning to Russia since his highly-acclaimed “Yoshiki Classical Tour – Part 1″ brought him to Moscow in 2014. After the premiere, We Are X will open in approximately 100 theaters across Russia on February 17.